NEW STORE Just 4 Taggers Opening Soon! All aboard!!! 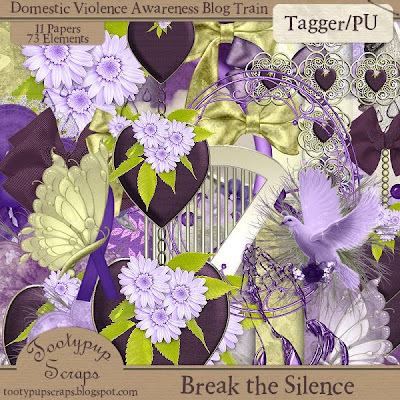 It's time to take a ride on the "Break the Silence" blog train! 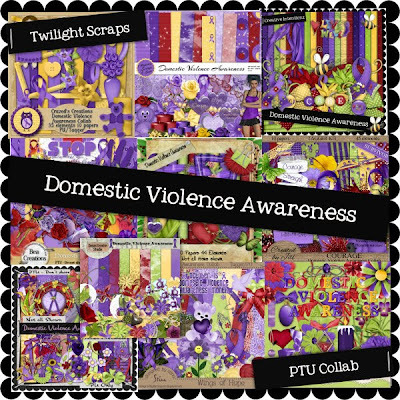 Together we can Break the Silence against Domestic Violence! Don't forget there are Designers all over the world and in various timezones, so each part will be posted at different times. But please stop back at their stations again to see what they have on offer for you. Don't forget to visit the special blog here to see a special video and or make a donation. Tootypup's Scraps YOU ARE HERE!! 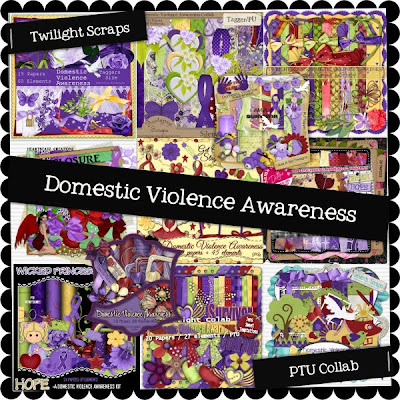 This tutorial was written by Janet, using Tooty's "Heart of a Ghost" kit. Thank you Janet. "Eternal Love (Twilight) Mega Kit". Thank you Emma!! Be sure to leave her some love if you download them. Gorgeous new tutorial by Manda using one of Tooty's earlier kits (and still a fave of hers) "Daisy Chains". A Special Designer Duo + FREEBIES! Calling all animal lovers! This kit is for YOU! For the first time EVER, Designed by Stina and Tootypup Scraps have joined forces to bring you a very special MEGA kit collaboration in honour of our furry friends. Here in Australia, the first week of October is RSPCA Awareness week, with the Friday of that week "Happy Tails Day". A day set aside for our animal friends and to show our appreciation for them. 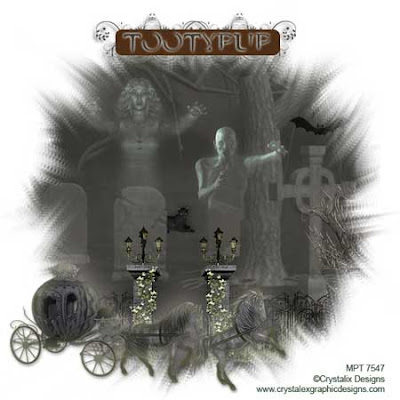 Tootypup and Stina both have an aversion to animals, particularly doggies, and we threw everything in this kit that represents our love, adoration and appreciation for our furry friends. For both of us, our pets are our lifeline. They give so much more than we ever ask of them and ask of nothing but love in return. How mankind could learn a lot from them by taking a leaf out of their books - the world would be a much happier and loving place, I'm sure. The RSPCA (Royal Society of Prevention and Cruelty to Animals) do so much to bring recognition and awareness to the plight of animals. This week and Happy Tails Day being one of them. Each May, Australia-wide, there is a Million Paws Walk where dog lovers gather together in a specified location in each state or other cities, and do a 3km walk together. There is always plenty to do and see at these events, for both dog and owner. The RSPCA is only 2% funded by the government and any event or program they run helps fund the organistion, and ultimately, the animals in need of their, and our, attention. So with every purchase of this MEGA kit you will be able to help the RSPCA too. Tootypup and Stina have decided to donate ALL the proceeds from our sales of this kit to the RSPCA, because they need our help to give our animal friends a voice. So help us help them. And now for the Freebies! Just click on the previews to download files. 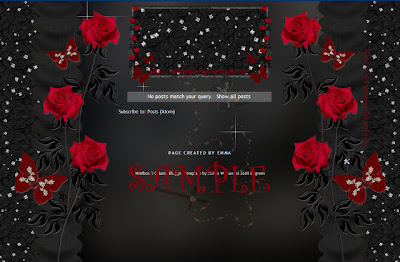 And don't forget to visit Stina's blog for her freebie also! The coupon amount is $31.00 and in that includes the collaboration kit amount which is $21.00 and the minimum spend of $10.00 to be able to get the collab kit free. So...... once you have added a minimum of $10.00 of products in your shopping cart, go ahead and add the collab kit, then at the check out add the coupon code above. This is Tooty's part of the Collab - which can be yours when you purchase $10 or more in store. 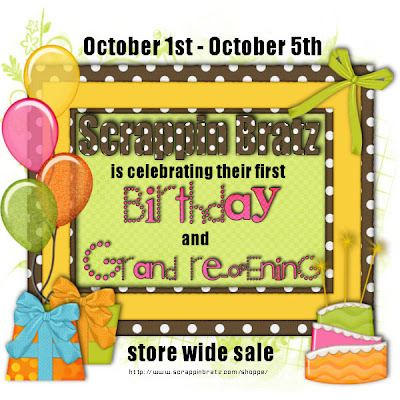 50% Off at Scrappin Bratz this Weekend! All Tooty's items are on sale by 50% from 1st through to 5th October On Oct. FREEBIE!! 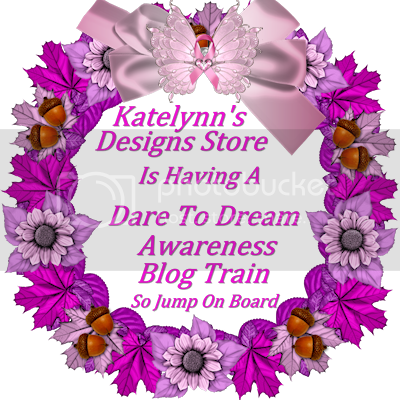 All Aboard the "Dare to Dream" Awareness Blog Train! Here is Tooty's part of the Train. 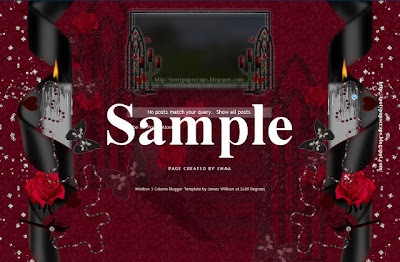 Click on the preview to download. Designer of the Month at Dazzling Scraps!! 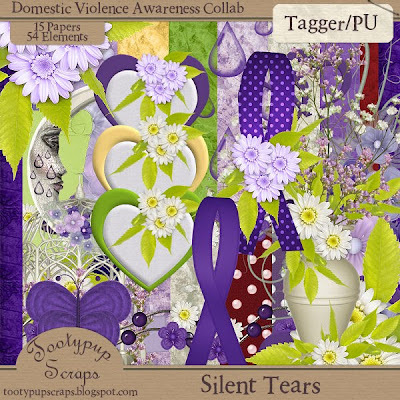 Tooty is "Designer of the Month" at Dazzling Scraps! And to celebrate she is having weekly specials for the duration of October! Be sure to stop by to take advantage of this opportunity. FREEBIE!! All Aboard for The Ghost Train! There is sure to be something for everyone! Rather it's for traditional scrapbooking, designing or tagging! So get your snagging fingers ready!! Remember, we are all in different timezones so The Ghost train may not be ready to leave some stations yet, so please be patient and enjoy the largest train in Halloween history! Download my part "A Witch's Tale" here! Tootypup Scraps YOU ARE HERE! !